Please remove all items such as plants, pictures, etc. from the window sills and surrounding areas. It is also wise to position window treatments to allow for easy access to the windows. Window treatments may occasionally require removal to accommodate the installation process. This should be discussed and noted on the Estimate-Proposal Agreement. Remove and/or re-arrange any furniture that may hinder the installer’s access to the window. The installer may need to move heavy furniture. This should be discussed and noted on the Estimate-Proposal Agreement. To minimize airborne contamination during the installation, close all air conditioning and heating vents in the vicinity of the windows scheduled for film installation. With our representative, take a few moments to inspect all windows before the installation begins. Soon after the film is installed, customers tend to look at the glass rather than through it. During the inspection, it is good practice for both parties to note of broken glass, loose panes and/or imperfections in the glass. 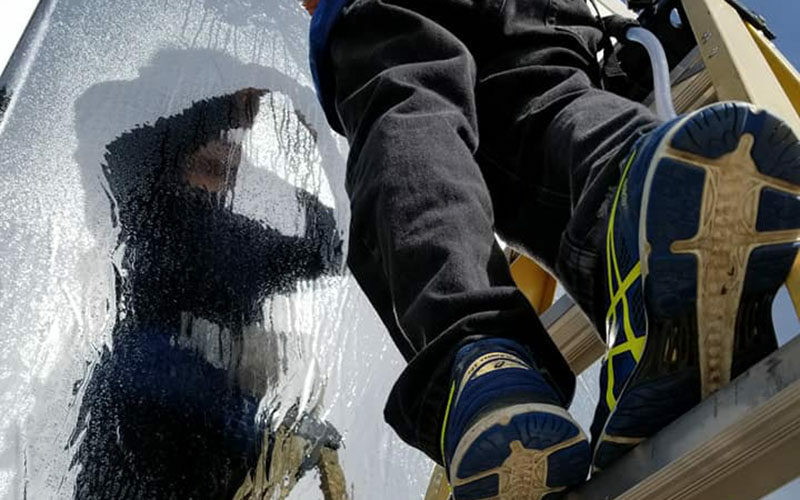 Window film creates an efficient vapor barrier between the glass and the film. During the installation process, your dealer will remove as much of the mounting solution as possible although a small amount will remain. Trapped installation moisture can cause small water bubbles and/or a slightly cloudy look. This is normal and should be expected. Do not attempt to pierce a water bubble during the dry-out period. Water bubbles and a cloudy look will eventually dissipate. Attempting to pierce a water bubble in an effort to drain moisture will damage your film. This damage is not covered by the warranty. Do not clean the film sooner than 30 days after installation. This will help to secure proper curing of the special system to the glass. To obtain maximum service life from your MAdico products, note the instructions for proper care and maintenance. Do not use ammonia solutions to clean any window film product. An effective and economical cleaning solution for window film is ½ ounce of liquid dish soap added to 1 quart of fresh water. A clean soft cloth or a clean synthetic sponge is recommended for washing the window film, followed by another clean soft cloth or soft rubber squeegee for drying. Do not use abrasive materials to clean your window film. Always use soft, clean materials on your window film.